Microwave the oats in a microwave-safe bowl with cup of water for 2 minutes. 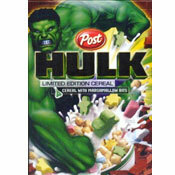 Sir in remaining ingredients except Cheerios. Now top with Cheerios and skimmed milk. Eat and enjoy breakfast and get a leg up on good health. 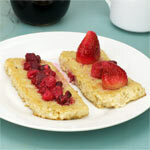 If you want to make this or any oatmeal just a little more special, sneak a scant teaspoon of butter into each serving. 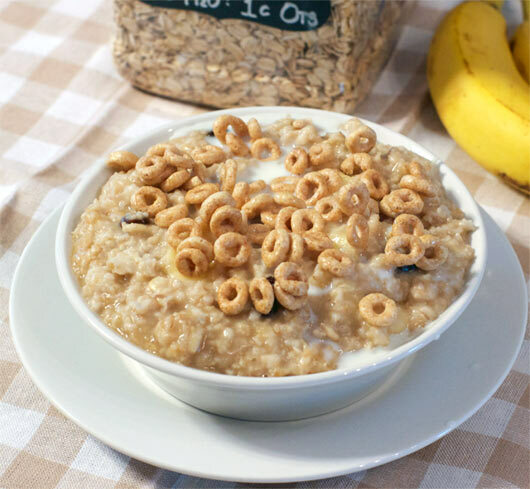 It brings out the flavor of the oats and adds that �hmmnn... why are these oats a little better than most oats� mystery to your breakfast. A fast and filling healthy breakfast to start the day right. 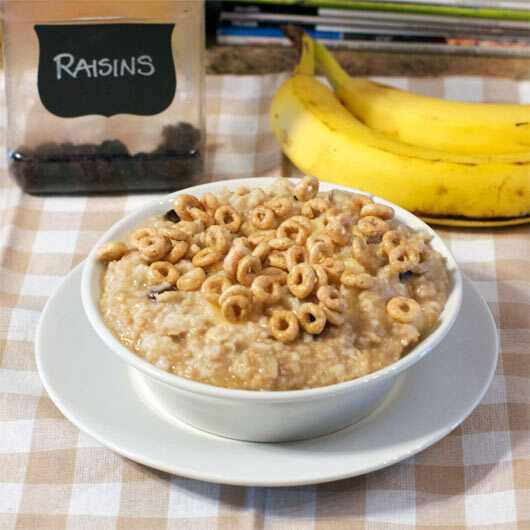 This oatmeal has bananas, raisins and a fun garnish of Cheerios. Mr Breakfast would like to thank Lincoln for this recipe. 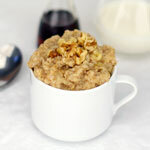 What do you think of Banana Raisin Microwave Oats? As a sub for Cheerios I used Posts Great Grains for a top off. Easy to fix and delicious.